This was one of the first quilts I made with quilt-shop designer fabric, and I loved the fabric so much I wanted to make something quite special with it. 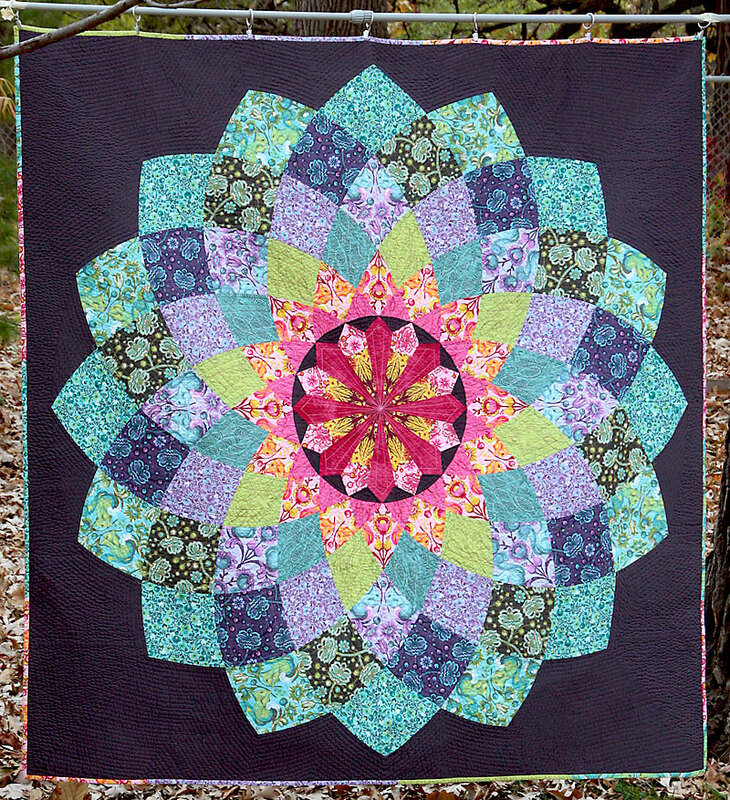 I designed the large dahlia center in EQ7 and fussy-cut all the pieces. I wound up re-doing the center after it was together to add more interest. And I had to sew the outer pieces on twice as setting a gigantic circle into a square is quite tricky! For quilting I took my time and echoed the flower shape into the center and then all the way out to the edge. 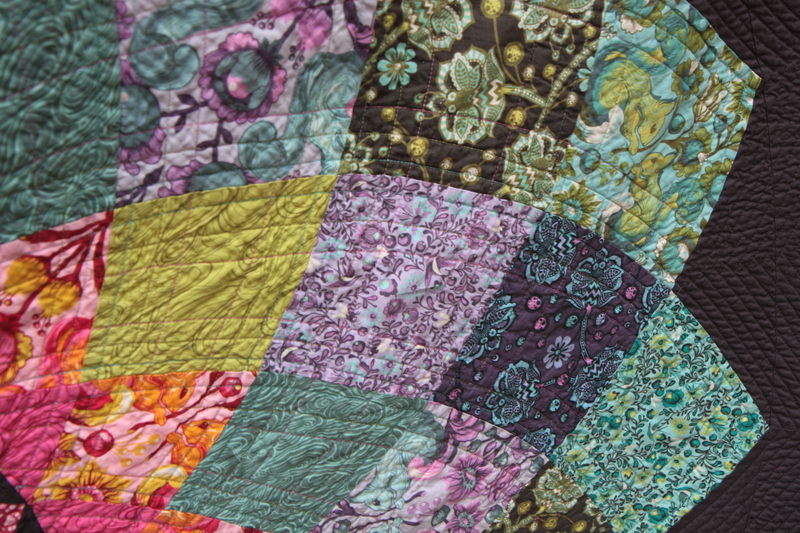 I made a special backing for this quilt, which turned into my “Out of the box” pattern. This quilt also got a second place ribbon in the 2014 MN state fair in the category of large quilts, quilted by entrant.